A: TicketSauce is a complete private label event management software platform that generates additional revenue and data for media companies, event organizers, convention centers/visitor bureaus and other organizations. A: TicketSauce’s robust and fully-customizable event ticketing software provides users with a simple way to create events and generate new revenue in just 24 hours. Attendees get a hassle-free, secure and easy-to-navigate, enjoyable ticket buying experience. 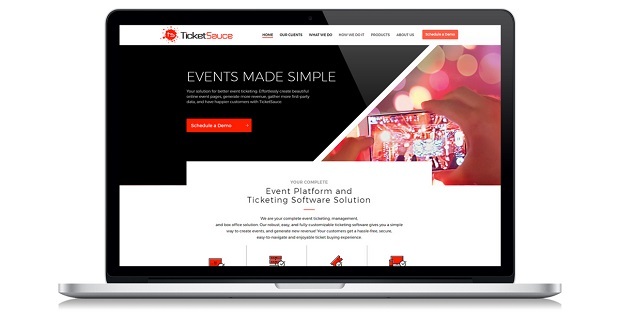 By partnering with the media organizations, associations, agencies and direct event organizers, TicketSauce’s white label solutions have created new ways to promote and streamline events. The TicketSauce software can handle any event large or small with unique feature sets around timed entry, multi day QR codes, activity within an event, activity calendaring, registrations and more. Our clients can take advantage of various ticketing forms (PDF, mobile, RFID, ticketless, etc.) and add customizable fees as needed. Product highlights for event organizers include venue seating, custom fees, mobile box office applications, custom banding, activities and scheduling features, custom buyer data collection, real-time analytics, email and SMS Communication, API data feeds and multi-language support. 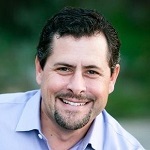 Q: How do your clients make revenue and increase first-party data? A: Crucial to any company in today’s competitive market is the data that they collect, cultivate and keep about their customers. Unfortunately, for a lot of companies they don’t realize what this data is, or even that they own the exclusive rights to use and keep it. Across the digital ticketing sector, the analysis of this “first-party data” presents a huge advantage for companies to grow, service and satisfy current clients as well as model “look alike” clients. The use of this data helps anticipate future customer and prospect needs, assisting across all lines of business of an organization. TicketSauce lets you create custom questionnaires and set what information you want to collect per purchase or ticket. And, best of all, YOU own and have access to all of this data. The API data feed allows your developers to completely integrate with the system and pull ticket and customer data into your organization’s CRM. It will also automatically post event listings to your website. Since most event ticketing companies also own and retain the rights to the first party data, TicketSauce is uniquely positioned to help organizations. The ability to resale the software under their own brand, TicketSauce customers have created a new revenue stream in their organizations. This new stream provides the ability to gain new transaction-based revenue which complements the advertising schedule that is being utilized by the event. This has provided an additional six to seven figures of new revenue for the TicketSauce client base. Q: What does TicketSauce provide that other online ticketing solutions don’t? A: The team is crafted of experts with decades of experience, who are here to assist you with every facet of your event: from the software, to ticketing programs, to on-site support, promotion and sales. TicketSauce has exclusively built a framework to interact with media organizations, associations, agencies and event directors to construct a true, private label event management solution. With powerful apps and a pioneering infrastructure, they provide the ability to set up a complete ticketing platform under your own brand. The product allows customers to generate events, or even resell the system to other event organizers in your community. The “Secret Sauce” is a combination of state-of-the-art white label ticketing, and the high level of customer service provided to each and every client. New product additions that have helped increase the growth of the organization include: Timed entry, multi day QR codes, RFID, sponsorship enhancements and promo codes, BOGO functionality, calendaring for events, restricted registration and event digital marketing services. Q: What are your future plans for TicketSauce? A: As we continue to grow TicketSauce, our focus stays constant in helping media companies, brands, associations and direct events drive more registrations and revenue to their organizations. We have accomplished this by being product focused and providing impeccable customer service for our partners. Our robust features, strong partnerships and customer feedback will continue to improve our company and provide the nimbleness that is needed to compete. Many competitors are running on legacy driven software to run their event software, TicketSauce is well positioned to grow their customer base by focusing on unique features and taking a mobile first approach. Our YOY growth this past year was 90% both by doubling the number of new clients we had but also organically growing our current customer engagements. We plan to add many more features in the coming months, and we look forward to a very active 2019 and beyond.